President Donald Trump’s top economic adviser, Gary Cohn, resigned from the White House on Tuesday. A strong advocate of free trade, Cohn argued against Trump’s planned tariffs on steel and aluminium. With Cohn’s imminent exit, there are few free-trade advocates left to stem the White House’s protectionist tendencies. Gary Cohn’s announcement Tuesday that he would step down as President Donald Trump’s top economic adviser not only signals the end to an up-and-down tenure in the administration but also creates a void that could have serious implications for the broader US economy. With Cohn’s imminent departure from the White House, Trump’s inner circle is nearly void of voices to oppose the president’s more protectionist tendencies at a time when trade policy has come to the forefront. Since the start of Cohn’s tenure, some Trump supporters have derisively called the former Goldman Sachs executive a “globalist” over his support for free trade and desire to rein in Trump’s itch for more protectionist trade policies. In fact, the last straw for Cohn appeared to be Trump’s decision to impose tariffs on imports of steel and aluminium. Cohn argued that increased protectionism would damage the US economy and lead to job losses, a theory held by many economists. But Trump has long opposed free trade, and Cohn’s voice fell on deaf ears. 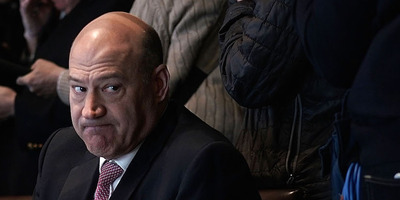 According to Jonathan Swan of the news website Axios, Trump held Cohn in high regard after his success climbing from a commodities trader at Goldman Sachs to become the banking giant’s second-in-command. Cohn was openly combative with the president and top aides on trade issues. Other free-trade advocates have left the administration recently. The White House staff secretary Rob Porter – who resigned following allegations of domestic abuse – was a key ally of Cohn’s in the argument against tariffs. The highest-ranking economic advisers left in the White House after Cohn departs all favour tariffs and strong trade protections. They include Peter Navarro, the director of the White House’s National Trade Council and author of “Death by China,” and Wilbur Ross, the commerce secretary and architect of the recent steel and aluminium restrictions. The lack of a free-trade advocate already has market watchers and Wall Street spooked. The major US stock indexes opened down by 0.6% to 1% on Wednesday following the news. Greg Valliere, the chief global strategist at Horizon Investments, said in a note to clients that Cohn’s departure signalled a major shift in the White House. The change also comes at a critical juncture for the administration, with key decisions on trade issues still to come. Those include an investigation into Chinese intellectual property theft and negotiations over the North American Free Trade Agreement. And Bloomberg has already reported that the administration is considering even more sweeping tariffs and trade restrictions on China.